Are you in need of some content to adorn your website, blog or product, but at a reasonable price? Well, you are in the right place. This article will give you an insight into what custom writing service is and what type of content there is. Some important points about the quality of content, too. Also, we will tell you what to look out for when you hire cheap writing services. Most importantly, here you will find our top 15 list of cheap custom writing services that also provide their customers with high-quality content. What is Custom Writing Anyway? Custom writing is quite self-explanatory. It is, indeed, writing that is completely accommodated to a client’s needs. Basically, ask for a specific text of any kind, and you will get it when you want it and how you want it. It’s that simple. Someone will do the necessary research for you, and you will end up with content that is 100% original and meets your requirements. After that, the content is yours, and you are to do whatever you want with it. Custom writing services became very popular with the rise of the Internet. We live in an era when anything can be purchased online, even content. Many have been searching for such services online, so the demand grew high. That was the perfect moment for custom writing service companies to be established. Today, it’s a great opportunity for writers all over the world to get work. Also, clients can get the content they desire without making a burdening commitment by hiring a full-time writer. Everyone benefits here. However, now there is an abundance of companies with various content prices. So, the question is: which one should you use? Keep reading, as we will give you a top 15 cheap custom writing services list below. And many more, depending on the company. Now, we’ll tell you what to pay attention to when you decide to go with cheap custom writing services. All companies that carry the title of ‘content writing services’ are obligated to provide content that is 100% without plagiarism. Plagiarism is looked down on by anyone who appreciates a person’s hard work. And, of course, content that is plagiarised will be automatically blocked by search engines like Google. Besides that, if you are looking for website content, the SEO score is crucial if you want users to notice your website. What’s the point of having a website if it’s invisible? Yet another vital factor is perfect grammar. There’s really no need to explain why grammar is important. It’s indicative of professionalism and essential for any website or business to be taken seriously. Something that unfortunately often happens with cheap custom writing services and custom writing services, in general, is low quality. Low-quality content has a lot of causes: misinterpretation of the subject, usage of general knowledge, fillers to stretch out the word count, etc. You need to consider all this when you opt for cheaper alternatives. Most companies are verified and will provide you with original content. However, it’s not rare that a company lacks in other areas (depth of research, for example). Not to mention the misinterpretations, fillers and so on. With this in mind, let’s talk about companies that offer cheap custom writing services. Established in Windermere, Florida, My Writers promises to give you excellent content and enhance your website’s search ranking. They mostly offer curated content, but they also do press releases, product descriptions, etc. Their curated content is said to contain quoted text from 2 to 4 authority sources. When it comes to product reviews, they are bias-free and written from a realistic point of view. According to their website, it’s essential for a review to be a right balance of critical standpoint and a sales pitch approach. My Writers will provide you with exactly that. Their website also gives you the opportunity to see samples of their work before signing up. A 600-word article is $30, and a 100-word article is $50. There are monthly subscriptions if you prefer it that way. In addition: There are writing samples on their website, so you can pick the one you like and find most fitting. Even though it’s number 14 on the cheap custom writing services list, WriterAccess is definitely one of the best-rated content writing companies ever. This rapidly growing company is based in Boston, Massachusetts. Besides offering a variety of content, they guarantee quality as well. They have over 15,000 qualified writers that you can choose from. They pride themselves on having an advanced, but an easy-to-use platform that will help you find writers and manage your workflow. The starting point is $0.04 per word, which refers to a writer with a 2-star rating. A 4-star rating will cost you $0.06 per word, a 5-star rating $0.08 and a 6-star rating is $0.10 and can go up to $2. In addition: The great thing is that you can choose your writers if you want. Also, if you request a revision, you will receive it in no time. Writer Access is a bit pricier than some of the other services that we will mention later in the list. That’s why it’s number 14. Still, the quality of their work is astounding. This company from West Yorkshire, UK, provides you with articles, website content, product descriptions, and many more. They write white label content for startups, digital agencies and their clients. Also, their team consists of reliable and professional individuals from the field of writing, editing, and marketeering. Their standard price is $0.04 per word, while content that requires more thorough research costs $0.05. In addition: You can get publishing service from Content Hero, too. This a newer company, founded in 2012. It still hasn’t taken off as much as some of the others have. That might be a good opportunity to take advantage of it and get great content for a smaller fee. Copify is a company based in the UK. Their goal is to provide you with a unique experience that combines both the commitment of a freelancer and the price of a full-time writer. Upon your writing request, you will be connected with the most suitable writer for what you need. According to them, all of their writers are native speakers from the US and the UK. They offer various types of content: blogs, website content, articles, press release content and so on. There are also additional fees. Surely the price varies depending on the word count and writer’s skill level. You can also purchase a $69 monthly blog package. In addition: Their estimated delivery time is 24 hours for a small 100-500 word article; 72 hours for 1000-2500 words and over 14 days for 10,000+ words. Copify’s reputation is not really outstanding, and neither are the prices. That’s why it’s number 12 on the cheap custom writing services list. Staffless SEO is based in New York and hires only US writers. Their main area of work is helping startups by providing them with first-class, Search Engine Optimized content. How Staffless SEO works is quite simple. You request content from them, and they provide you with it. If you want, you can also request an infographic of your business. The next step is the promotion of the content, which they also provide. After all of this, you can track your new content’s SEO performance and its rankings with various search engines. That is a very useful feature that few other companies offer. Price range: $3 per 100 words. You can pay extra if you want rush delivery. In addition: Aside from SEO content writing, they offer web design, translation, and marketing. This company is based in Canada. Just like the other companies on the list, Crowd Content guarantees quality for a reasonable price. Their expected turnaround is within 24 hours, which sounds beyond great. Another thing that they excel in is how easy it is to use their platform. They can write blog posts, SEO content, product descriptions, even social media posts. Additionally, they guarantee that their content will have a great SEO score and reach many people. They have four different star ratings, from 1, which is the Entry level to 4, the Expert level. Entry level is only $0.02 per word, whereas Expert is $0.12 per word. In addition: They also offer eBook, white paper and newsletter writing services. This company is based in Karnataka, India. No, their writers are not native speakers. However, they are all post-graduate professionals with exceptional English language skills and experience in the field. Moreover, their content has excellent quality. The cheapest are blogs and articles, which run for $0.016 per word. Some of the other services are a bit more expensive, but it’s worth the money. For instance, copywriting is $3.30 per 100 words, ebooks are $4 per page, etc. In addition: Their reputation has been admirable so far, with over 2 thousand happy customers from all over the world. However, this company is one of the lesser known on the list. There aren’t many reviews of it, either. Again, there is no quality guarantee, but this is an issue that many companies face. It’s best just to try it since the prices are so low. But, anyway, that’s why it’s number 9 on our cheap custom writing services list. 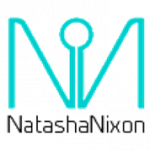 We have written a detailed review about NatashaNixon, which you can read here. SEO articles and authority content is what this company specializes in. By SEO articles, they mean small blogs, article directories, and reviews. Authority content they offer includes bigger blogs, guest posting, press releases, and others. They apparently have only native speakers as writers, and they are highly experienced. They promise explicit and concise content that has been SEO verified. Another thing that is promised is industry-like fast delivery time. The client base of Natasha Nixon is global and spans over 120 countries. For SEO Articles, it’s $1.50 for 100 words. Authority content is $7.97. In addition: You can see samples of their work on their website. They offer full transparency, which makes them authentic and trustworthy. TextBroker has highly qualified native speakers as writers. They offer all kinds of services: blog and article writing, technical content, product descriptions, etc. The thing this company promises is quality content that gets delivered to you in no time. But most importantly, you’ll get content with a high SEO ranking. They are established in Las Vegas, Nevada. For a 2-star rating, it’s as low as $0.013 per word. 3-star is $0.018, and it goes up to $0.072 for professional writers. In addition: You can also get a translation from them in 15 different languages or management services. We have written a detailed review about 99 Cent Articles, which you can read here. This company from Atlanta, Georgia, certainly deserves a spot on the cheap content writing services list. Their services include articles of various shapes and sizes, press release writing, blogs, even ebooks. Writers of 99 Cent Articles are allegedly all native speakers with years of experience. Much like many other companies, this one offers good quality and SEO rankings. Their distribution team uses the latest technology to distribute the content you ordered to as many outlets as they can. Also, their goal is to rank your content on the first page of Google Search. All their articles must be approved by EzineArticles before they get delivered to you. And EzineArticles is surely one of the most difficult directories to pass. In addition: They also offer graphic design and management services. This is another company that has low prices, but sometimes questionable content. They too ‘guarantee’ high-quality content and fast delivery for a low cost. While the fast delivery and low-cost parts are true, the quality is what concerns us. iWriter does articles, rewrites, blog posts, press releases, etc. The ordering process is quite clear. You sign up, order some content. After you receive it, you can decide whether you want to accept it or not. If you reject it, the content will be rewritten until you finally accept it. You can also choose what kind of star rating you want. There is Standard, the lowest one, then Premium, Elite and Elite Plus. For the lowest one, Standard, the price is around $0.009 per word. The more words you want, the lower the price is. The highest star rating, Elite Plus, is a bit on the expensive side, starting with $0.09 per word. In addition: There’s not much to add, really. As we mentioned, the content quality is not that great. In this case, it also depends a lot on the writer itself. You can hit the jackpot and get a great article for a silly price. But, unfortunately, there’s also a high risk that you’ll receive something awful. Though, you can send it back in case you do. For this reason, iWriter places 5th on our cheap custom writing services list. They mostly provide articles and article rewrites. But, the main characteristic of Hire Writers is how low their prices are. The content they offer includes blogs, rewrites, ghostwriting, email swipes and so on. $0.80 is for beginner writers, whereas $1.50 is for expert-level writers. That is so incredibly cheap that it seems questionable. In addition: They allegedly hire only native speakers, which is probably not entirely true. Hopefully, if you go with HireWriters, you’ll be lucky enough to come across a good writer that will provide you with acceptable content. On the other hand, if you come across someone that lacks skill and knowledge, you will probably end up with a useless article. Regarding many reviews of HireWriters, it’s safe to say that beginner-level content is not worth your while. Expert-level, however, can be worked with. And for $0.015, it’s not that bad. 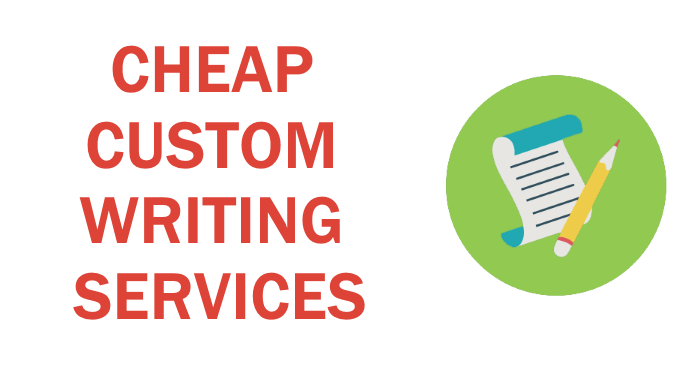 Even though this might be one of the cheapest services, it’s listed as number 4 on our cheap custom writing services list because of its reduced quality and bad reviews. We have written a detailed review about EpicWrite, which you can read here. Epic Write is a New York-based company that writes for small businesses, online marketers, and web-developers. They will help jumpstart your company and make you go viral. Also, they use effective marketing. They promote you by targeting your audience’s interests. The price varies on the rating here, as well. A 3-star quality is $0.008 per word and the delivery time is seven days. A 5-star quality is just a bit more, $0.012 per word. By choosing a 5-star quality, you will get your content in 3-5 days, and it will be written by a native speaker. In addition: Even the 3-star rating has a free one-time revision. With a 5-star rating, you will get unlimited revisions. This company did receive some negative reviews, to be honest. But, as per usual, it could just be a handful of bad writers that somehow got by. Most reviews were positive or neutral, though. Epic Write actually has a good price/quality ratio. That’s why it has a well-deserved spot number 3 on our cheap custom writing services list. Contentmart is a Ukranian company based in Nicosia, Cyprus. Here’s the thing – they hire high-skilled writers all over the world. Their writers are skilled in many topics and have A-level English proficiency. Moreover, they offer multilingual services. This truly outstanding company has over 127,000 customers today, which makes it one of the most famous ones on the list. Their services consist of article and web content writing, and technical and creative writing. You pay only if you are 100% satisfied with them. You can choose between 4 different levels: Standard, Experienced, Verified and Handpicked. Prices for Standard are the lowest, starting at $0.003 per word. Standard writers are usually less experienced and work at lower rates. ‘Handpicked’ are the best and most exclusive writers you can get at Contentmart. They charge $0.07 per word. Their most used option is Verified, and the rate for it is $0.03 per word. And again, the more words you want, the lower the rates. In addition: You can browse through writers, check out their portfolios and work experience and then pick which one you would like to work with the most. This company, even though it’s astounding, places only 2nd on our cheap custom writing services list. We have written a detailed review about GoSuperb, which you can read here. This Amsterdam-based company undoubtedly takes the number 1 spot on our cheap content writing services list. Even though it’s a new company established only in 2015, its business is no joke. According to their website, the company was founded out of sheer disappointment with the existing companies that provide poor-quality content. Hence emerged their goal to top them and bring something fresh to the table. What is truly unique about GoSuperb is the fact that they offer unlimited revisions for free until you are 100% happy with the content. They guarantee you won’t receive content that has fillers, a stretched-out word count or general knowledge. You will receive thoroughly researched and detailed content of your desires. Their writers are all equally professional and highly-skilled. They offer articles, rewrites, product descriptions, reviews, website content and other custom writing services. With GoSuperb, there is no standard or low-quality writing. Their editors proofread all of the content before it gets to you. Price range: $1.25 – $2.95 per 100 words. You can choose from Rewriting, High-Quality writing and Superb writing. Rewriting is $0.0125 per word, whereas High Quality is $0.0195 per word. Superb writing, however, is $0.0295 per word. The difference between these two is that High-Quality writing comes with light research, whereas Superb writing comes with in-depth research. In addition: Again, all these types of services come with unlimited revisions. And, if you find even one mistake in the text, you have the right to ask for a full refund. It’s really no surprise that GoSuperb is number 1 on our cheap custom writing services list. Besides having unbelievably low prices and ‘superb’ quality, they offer unlimited revisions. That is something that few other companies offer.